Someone recently asked us “What is your favourite city in the world?” Paris used to be our answer. But as we've explored more cities in recent years, our reply has changed. Today we always say, Hong Kong. Hong Kong is Asia's world city. It's alive with energy and excitement, it's filled with culture and beauty, and it has one of the best skylines on earth. If you are going to Asia, you should start off your vacation in Hong Kong. Hong Kong is an easy introduction to Asian culture. I remember the culture shock we felt during our first trip to Asia in 2000. We arrived in Bangkok and were overwhelmed with the sights, smells and sounds of the city. We eventually fell in love with Thailand, but it took us awhile to relax. While Hong Kong is massive and busy, it's also very easy to understand. It's a modern metropolis with all the things you'd find at home, and you will settle into a vacation quickly. Even though it's exotic and different, you won't feel too overwhelmed if you are used to urban centres. 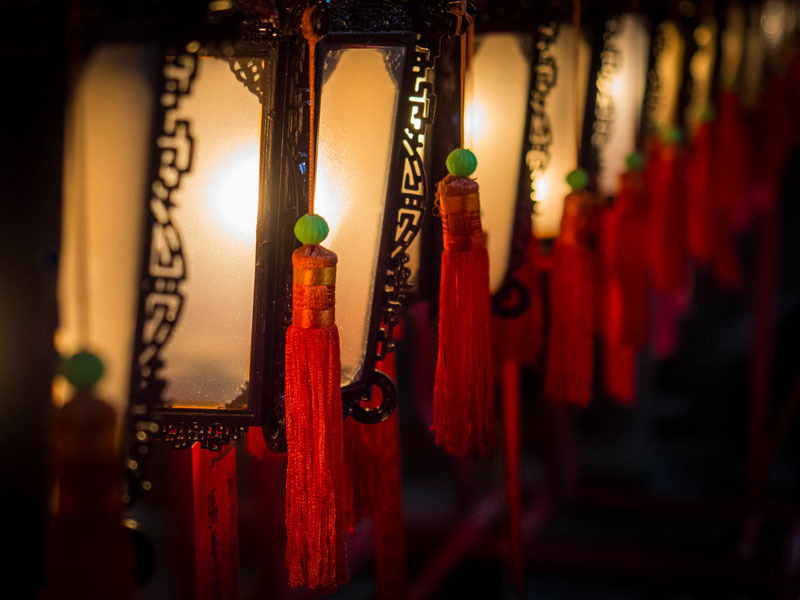 Everyone in the Hong Kong tourist and service industry speaks English, so it's easy to navigate and its modern amenities make you feel at right home. For first-timers to Asia, it's the obvious choice for a first stop. For regular travellers to Asia, it's one of the best cities to fly through when exploring the continent. That's why Hong Kong is a popular hub for transportation and business in Asia. Have a short vacation in Hong Kong? Check out Three Days in the City. Hong Kong's central location makes it the perfect base for a trip to Asia. You can take so many direct flights to any destination you want. 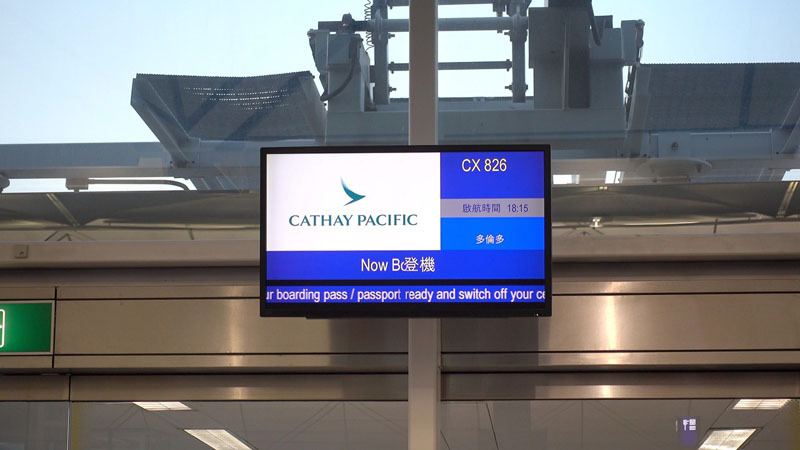 As a matter a fact, Cathay Pacific Airways connects to over 40 destinations in Asia, plus more than 22 cities in Mainland China. If you are traveling for a couple of weeks or several months, Hong Kong is the perfect location to make a home base between travels. Check out all their routes here. Dave and I have done our fair share of extended travel through Asia. We like being able to fly through a hub where we can spend a day or two relaxing between countries where we feel comfortable. When you are traveling for a long period of time, it's nice to have a city act as a home base as you fly back and forth from other countries. When we explored South East Asia, Bangkok was our travel hub. It worked out great. But now we like to travel everywhere in Asia and that's where Hong Kong comes in. Its central location lets you fly quickly and affordably directly to places like Seoul, Tokyo, and Shanghai. Because it's Asia's premier hub, you not only fly direct to main cities like these, but you can also fly directly to dozens of lesser-known hubs, like Chiang Mai, Thailand, Cebu, Philippines, or Xian, China. If you are planning an Asian vacation, start it in Hong Kong. Hong Kong is easy to navigate. Buy a metro pass which is cheap and efficient. 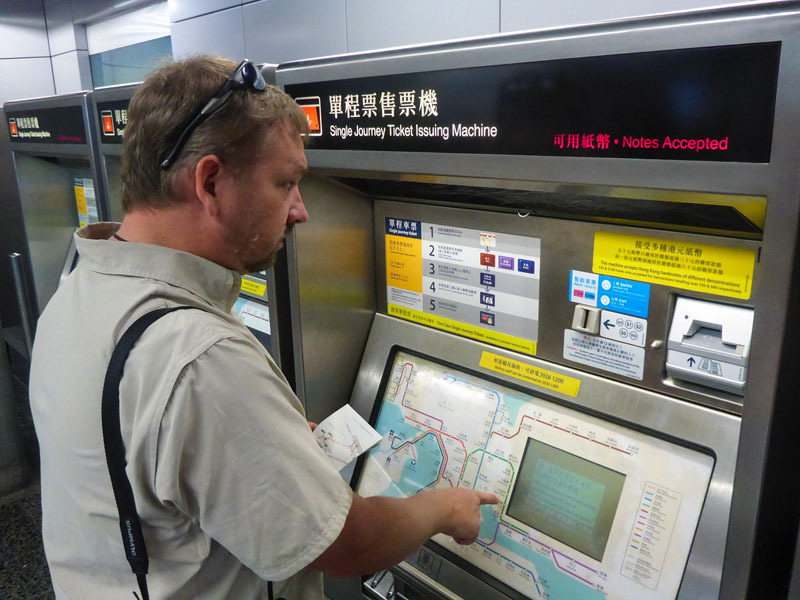 We took the metro everywhere in Hong Kong and you can buy the pass right at the machines in any subway station and even buy one right in the airport when you arrive. To travel from Kowloon to the central business district on Hong Kong Island, you can take the subway or drive, but our favourite way is to ride the Star Ferry across the harbour. It's affordable and offers nice views of the city. 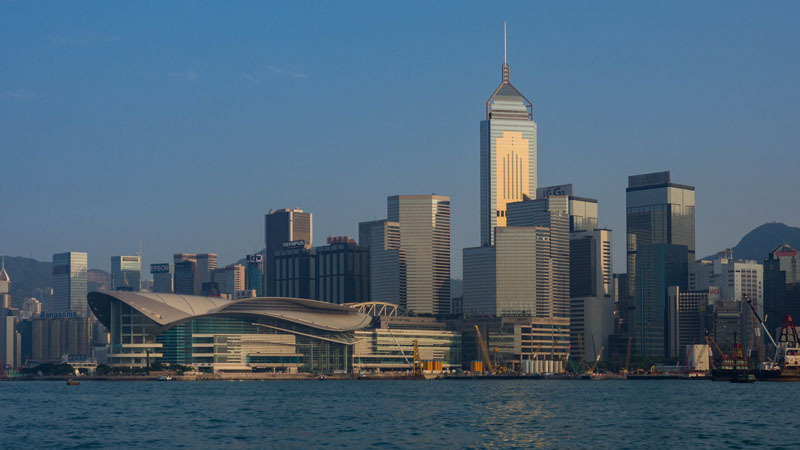 When visiting Hong Kong, we recommend the luxurious Mira Hong Kong Hotel located in the Tsim Sha Tsui – it's an excellent location with fantastic service. If you want to go outside the downtown core, taxis are cheap in Hong Kong. You won't break the bank when you visit tourist sites like the 10,000 Buddhas Monastery in Pai Tau Village or have a day out to Sai Kong to do some hiking, sailing, or exploration of islands. There are many things to do outside Hong Kong. 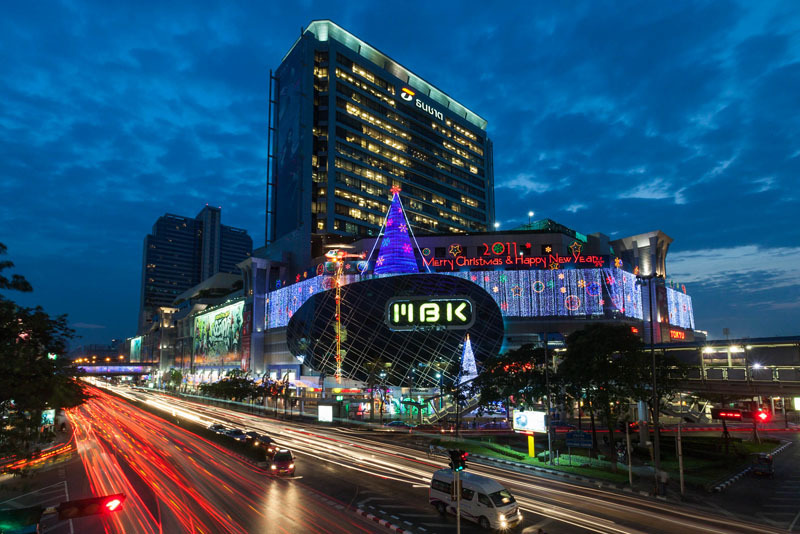 Even though it's Asia's most exciting urban centre, day trips out of the city are a must. 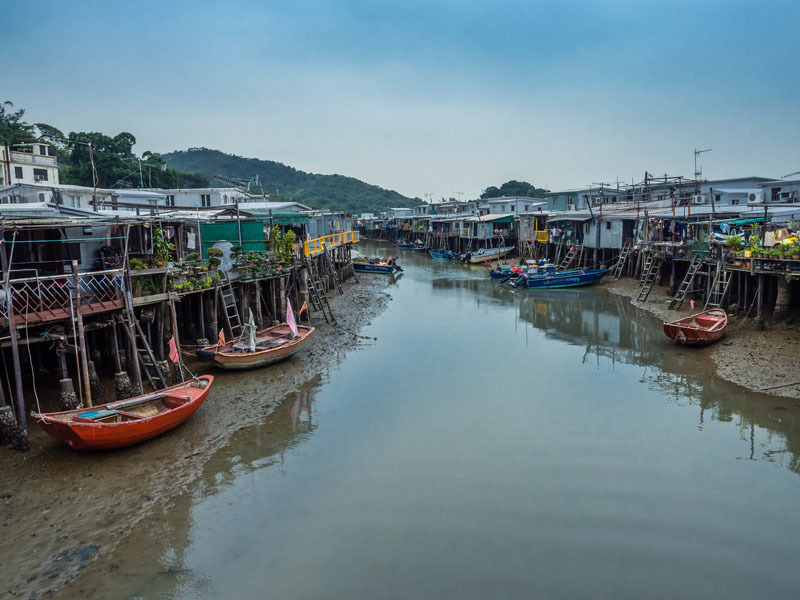 We loved taking the Ngong Pin cable car to see the Tian Tan Big Buddha, the Po Lin Monastery, and to visit the Tai O fishing village where we saw the traditional stilt houses and spied pink dolphins in the bay. You can easily see a lot of Hong Kong highlights in a short time, like the Sky100 located at the top of the International Commerce Centre in West Kowloon, or another excellent high look out at the Peak Tram. 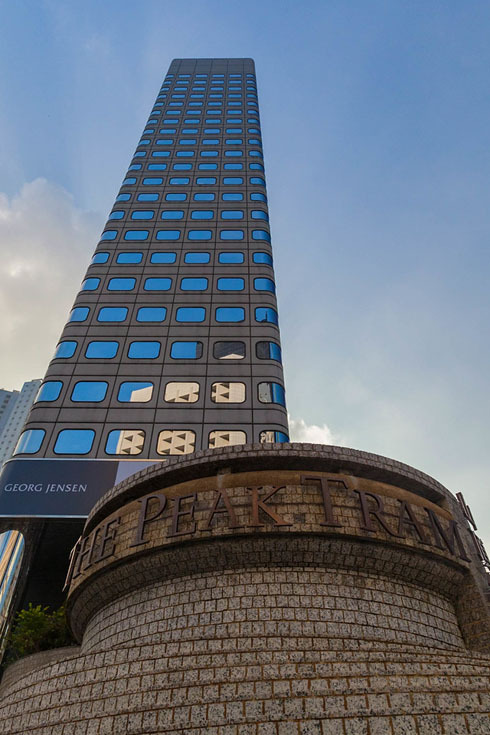 The Peak is located in Central Hong Kong Island and offers incredible views of the city. 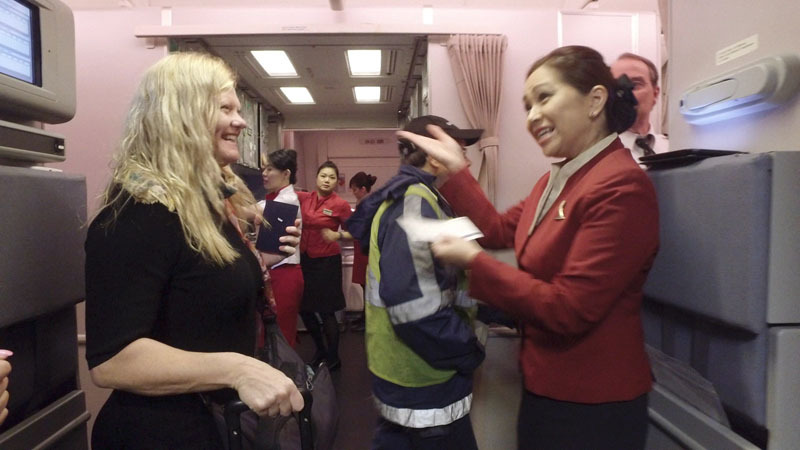 While flying to Hong Kong, Cathay Pacific offered noodle soup as a snack on the flight. I loved waking up from a long nap and asking my flight attendant for a bowl. It was so soothing. 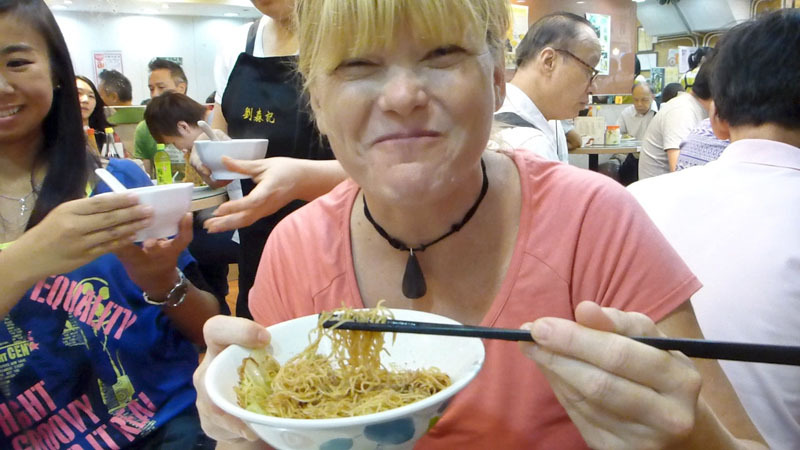 Plus, it got me in the mood to visit the noodle shops of Hong Kong. I never know what food shops to try, so one of the best ways to learn about the food of a destination is to take a food tour. We recommend a tour through Sham Shui Po with Hong Kong Foodie tours. 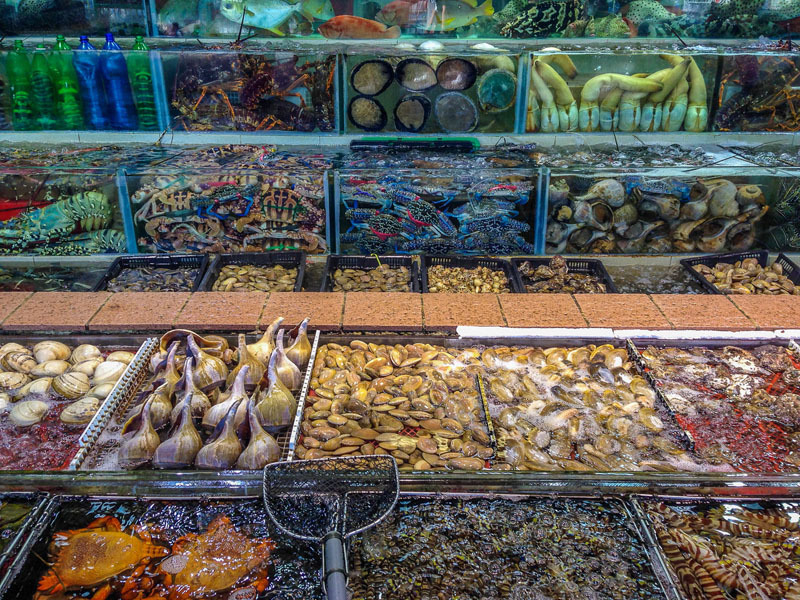 You'll hit the local markets and food stalls of Hong Kong's most traditional neighbourhood. And yes, you'll definitely sample authentic noodle soup. You could easily spend days in Hong Kong Island and Kowloon marvelling at the immense skyscrapers while shopping in and dining in SOHO. We loved wandering through Mong Kok, Hong Kong’s most popular walking street in Kowloon with its famous Ladies Market, which is a popular spot to haggle for bargain clothing and souvenirs. 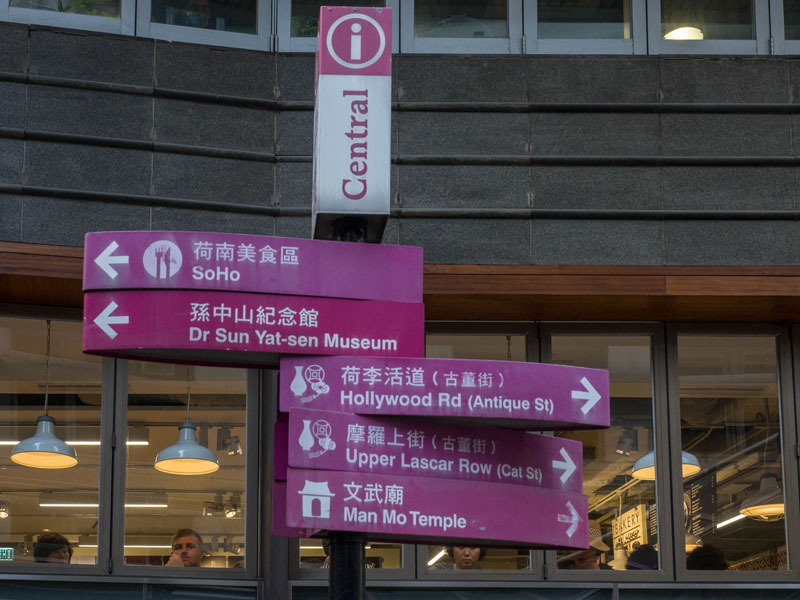 For antiques, you can't miss Hollywood Road. It's Hong Kong's oldest street and it's known as an antique street where tourists can buy genuine merchandise. If you go to Cat Alley, you will find more junk stores, souvenir shops and knick-knacks along the 200-meter boulevard. 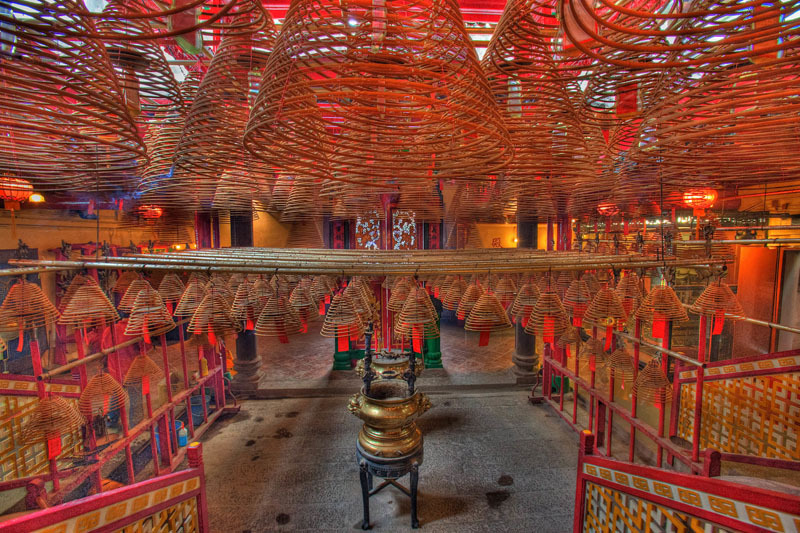 And finally don't miss the Man Mo Temple, Hong Kong's most popular temple to visit, which is filled with huge coils of incense. After a few days in Hong Kong, you will fall in love with the city and be ready for more Asian adventures ahead. When it is time to move on to the next hub, the sky is the limit on where to next. 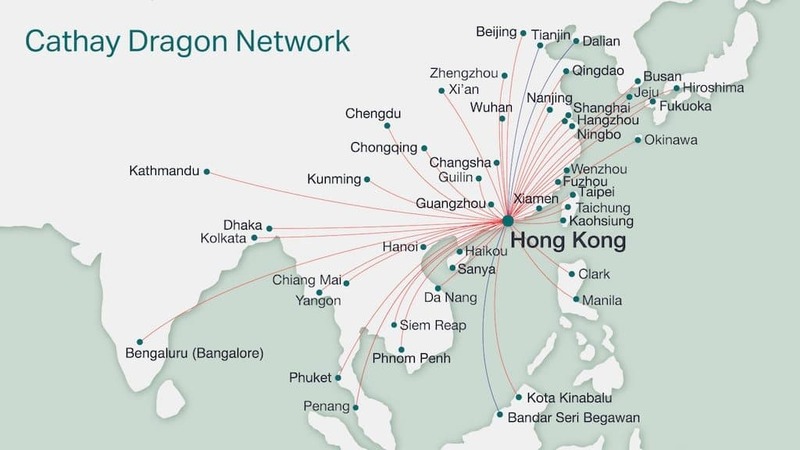 As we mentioned earlier, Cathay Pacific connects to more than 60 destinations around Asia and mainland China. Our latest trip from Hong Kong took us directly to Chiang Mai, Thailand. The Hong Kong airport is huge and a bit overwhelming. That's why we love to retreat to the lounge. 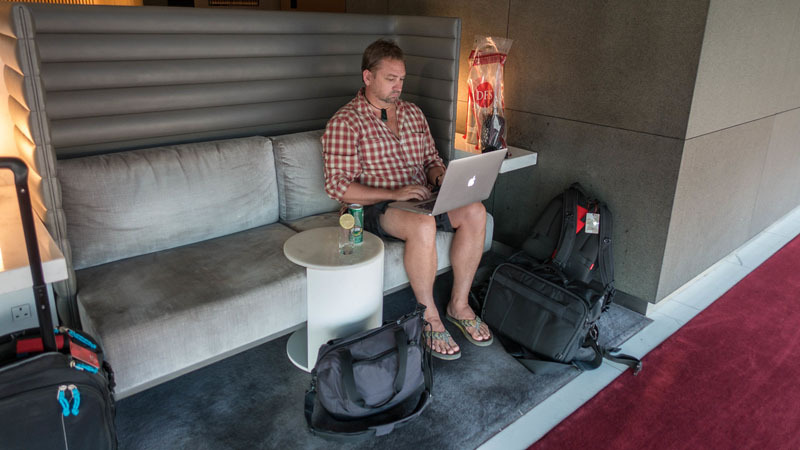 Cathay Pacific has several lounges in the Hong Kong airport, so you won't have to walk far from your departure gate to find one. It's a little oasis in a congested airport environment. Our flight to Chiang Mai was a short three-hour jaunt on Cathay Pacific's sister airline Dragon Air. Thai baht (about $4.50). 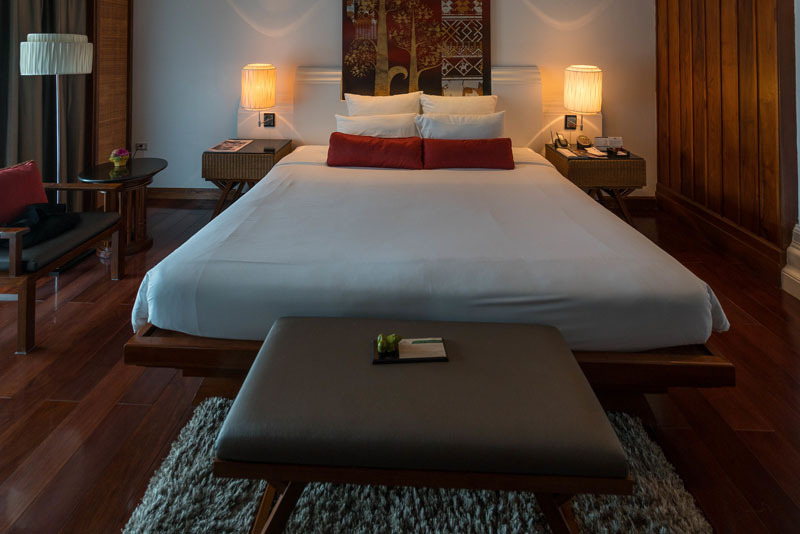 Located on the river, it's one of Chiang Mai's most luxurious accommodations complete with infinity pool, a full-service spa, and well-appointed rooms with a traditional Thai feel. We chose Chiang Mai because the famous Lantern Festival was going on at the time, but there are many reasons to visit Chiang Mai. 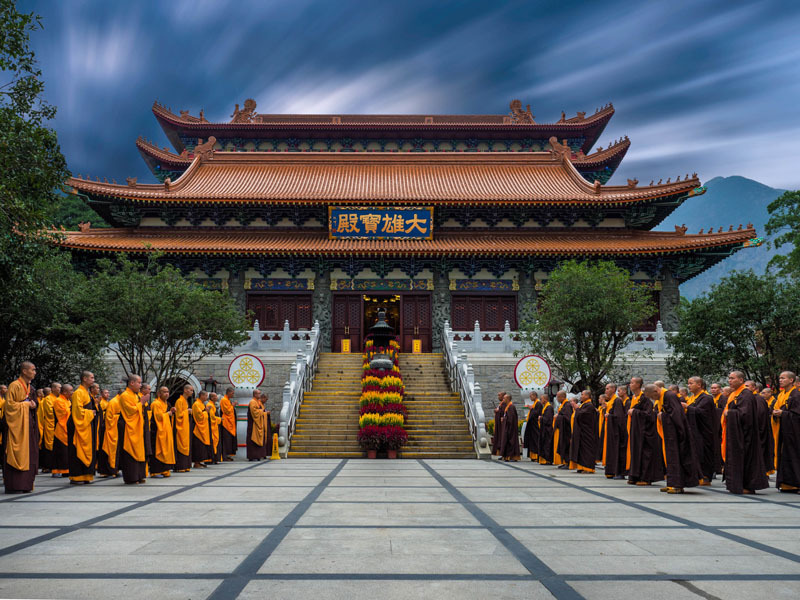 The city is filled with hundreds of beautiful temples and pagodas with monks walking through the streets in their colourful robes. The dining scene in Chiang Mai is fantastic, showcasing northern Thai Cuisine, and the night market is the biggest and most popular in Thailand. 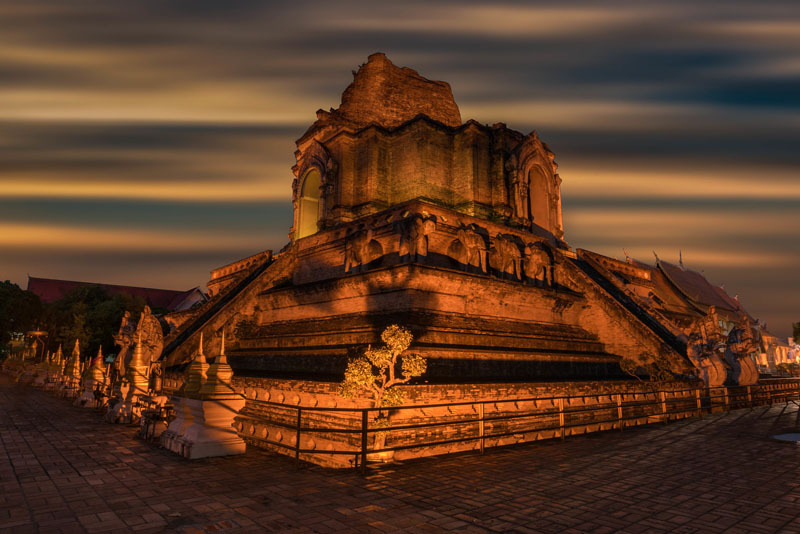 Chiang Mai is also known for being an excellent spot to book treks into the hills or visit elephants at one of the sanctuaries, as well as being a good spot to book a tour to the Myanmar border and the Golden Triangle. 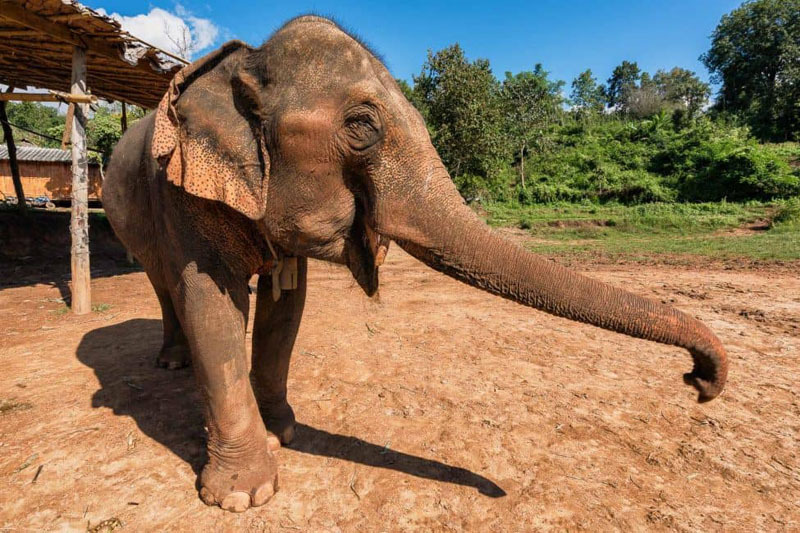 When visiting Chiang Mai, don't ride the elephants, visit a sanctuary instead: here's why. Chiang Mai is also another one of the easiest cities to visit in Asia. Thailand has an amazing tourism infrastructure making it simple to travel to. Like in Hong Kong, everyone in the service industry speaks English and transportation is cheap and easy to navigate. 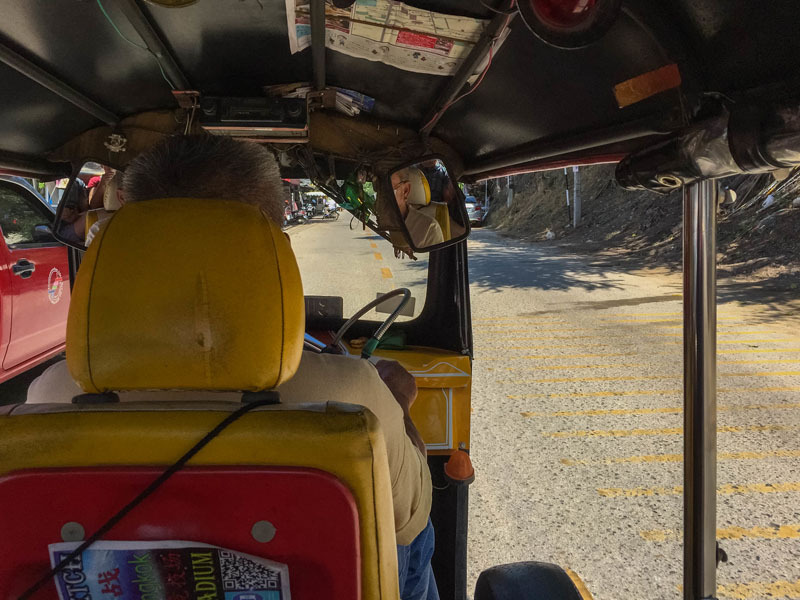 Songthaews and Tuk Tuks cost just a couple of dollars to get anywhere in the city. You won't break the bank traveling here. What we loved about flying from Chiang Mai with Cathay Pacific is the fact that we didn't have to fly through Bangkok. So often when we book flights to smaller hubs, we have to fly through the large capital cities. Because Cathay Pacific has so many choices, we can fly direct and not waste time transferring through airports. We can sit back, relax, and enjoy the flight because travel is about the journey AND the destination. 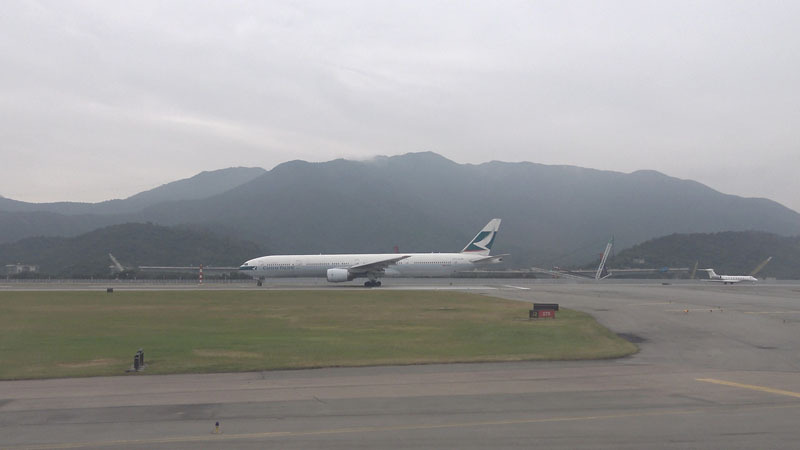 Cathay Pacific offers 10 direct flights weekly from Toronto to Hong Kong and 14 flights weekly between Vancouver and Hong Kong. 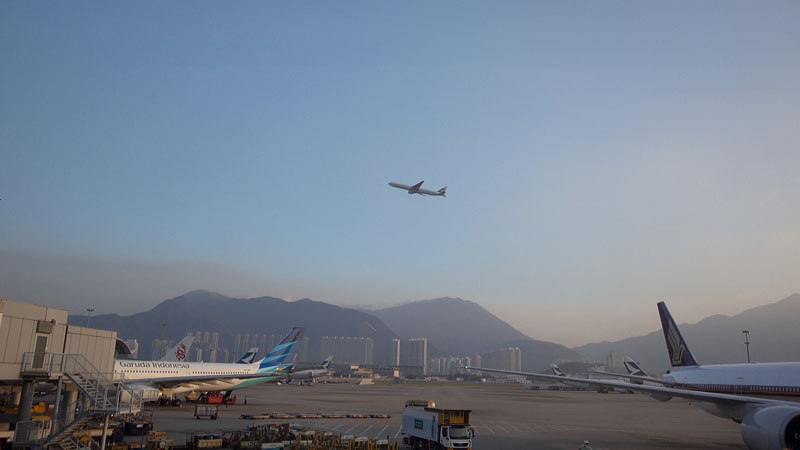 The convenient hub of Hong Kong connects to over 40 destinations in Asia and over 22 cities in Mainland China. Check out all their routes here. 10 Responses to "Start Your Vacation in Hong Kong – Asia’s Best Travel Hub"
Great! Thanks for sharing this informative blog for Hong Kong vacation. This is article is truly a guide for a people who want to visit Hong Kong very soon. Such a nice way of explanation i must say it. klook voucher codes will add cream on your cake with complete assistance and exciting offers. Awesome post on Hong Kong. We’ve not been yet, but it’s high on our list. We did visit Tokyo and Nagano Japan and loved all of it, so Hong Kong would be an easy place for us to explore. As an AVGeek, flying on Cathay Pacific would be a good reason to go! I’ve heard such great things about their airline. I love your photos, and that Hong Kong skyline really pops! Great job. We love noodles, big-citybustle, and exploring new things, so this seems pretty much perfect! Thanks for sharing. The timing here is perfet! I was literally pulling countries yesterday to make a SE Asia itenerary. Thanks for the tip! 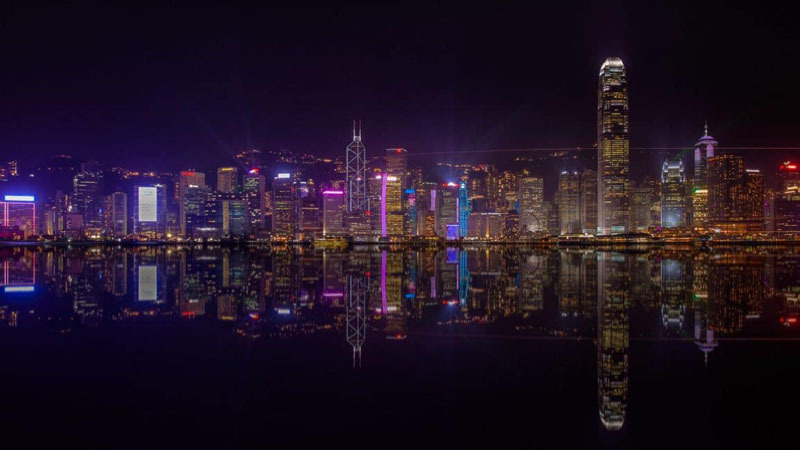 Hong Kong is one of my favorite cities…been there 5 times in the past 10 years. It’s an international city, so lots of English is spoken. Street signs and and announcements on the MTR are in English as well, so no worries. I always buy an Octopus Card to get around on public transit (the system is excellent) – you can use it on the subway, buses, trams, ferries, some taxis; you can even buy McDonalds with it! I recommend eating the local food though, it’s delicious. Hong Kong is a very famous place for the tourists and businessman. Hong Kong has the best location and transport links across Asia and internationally. English is the language of business in Hong Kong, and many people speak English, Mandarin and Cantonese. Tian Tan, Big Buddha and Hong Kong Disneyland are one of the places that are mostly visited by the tourists. Dave and Deb, both of you have certainly compiled the best places from Hong Kong. This looks amazing! I have always wanted to visit, Hong- kong and these photos make me want to go even more badly! Thank you so much for sharing it. Great !! I am feeling good to know Hong Kong tourist and service industry speaks English. I was thinking that, Hong Kong people speaks only Chinese language. I also felt glad to know Hong Kong is a popular hub for transportation and business in Asia.